Lanzarote (Spain): The luxury bungalow in Famara has four bedrooms, a swimming pool and comes with commanding views of the beach — one of the best for surfing in Europe — and its location on the Spanish Canary island of Lanzarote makes it an ideal getaway for foreigners. The German owner has it listed for €725,000 (Dh3 million), will likely take €690,000 upwards and it is generating a lot of interest for local real estate agents and buyers alike. And for non-EU foreigners who are interested in obtaining a residency visa, it easily meets Spain’s €500,000 investment threshold. Purchasing the Famara bungalow, or any of the thousands of similar properties listed across the Canary Islands and mainland Spain, is an attractive proposition to gain ease of access to an EU-based residency permit. And unlike neighbouring Portugal, Spain doesn’t insist on the foreigners actually living there for at least two weeks of the year. Welcome to the so-called golden visa schemes operated by six member states of the 28-nation European Union. Investing in real estate for as little as €500,000, or putting the money into government-approved funds, means wealthy foreigners can eventually buy a second EU passport. Membership has its privileges, allowing passport holders unfettered travel, working and residency rights across the political, social and economic bloc — and making for ease of travel and entry into most nations where visas on arrival are issued by immigration officials. Right now, there are 20 nations that offer some version of the scheme, with the six most popular being Spain, Portugal, Ireland, the United Kingdom, Cyprus and Malta. But the schemes are drawing criticism from the EU Commission, which reported on Wednesday that the programmes help organised crime gangs infiltrate the bloc, allow them to launder money, avoid taxes and abet corruption. Unlike programmes that help desperate refugees from violence in the Middle East and North Africa resettle into the EU, the golden visa schemes help high-worth individuals buy passports or residency visas. Ireland requires its foreign investors to put in at least €1 million, be worth at least €2 million but also undergo stringent background checks and applicants must have a clean criminal record. 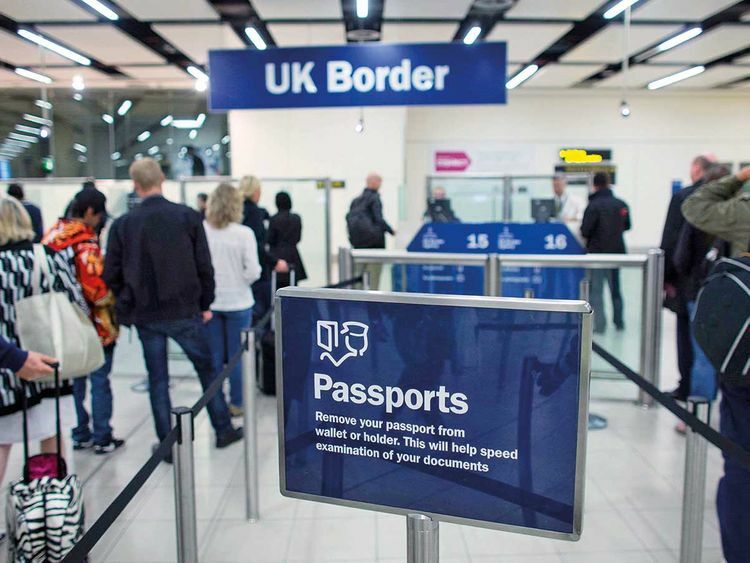 The UK requires a £2 million investment but regularly reviews the standing of individuals under its Tier 1 visa programme. That’s a review process that has ensnared Roman Abramovich, the Russian billionaire owner of English Premier League team Chelsea last summer, forcing him to seek an Israeli passport and put his planned £1 billion redevelopment of Stamford Bridge on hold. The Tier 1 (Investor) visa is not currently suspended, however we remain committed to reforming the route. A further announcement will be made in due course. While there’s no suggestion of any criminal involvement on his behalf, the UK Home Office looked at all Russian applicants in a different light following the nerve agent attacks in Salisbury. In Brussels, the EU Commission — the Cabinet-like body that oversees the day-to-day running of the EU — is particularly concerned about the golden visa schemes on the Mediterranean island of Cyprus and Malta. The Cypriot government offers two schemes, again through purchase of property — one for permanent residency, the other for citizenship — and both are considered the quickest and most efficient way for non-EU nationals to obtain a second EU passport. Malta offers a full citizenship scheme aimed at high-worth foreigners and applicants must put at least €650,000 into a national investment fund, invest $150,000 into government-approved approve funds, and invest at least €350,000 in property, and €25,000 must be invested for each child under 18. After a year’s residency, a full Maltese passport is issued along with citizenship. The government in Valetta says it has addressed the concerns raised by the EU report. A report from pressure groups Global Witness and Transparency International said that various governments had raised €25 billion from the golden visa schemes, and that some 6,000 full EU passports had been issued to foreigners under the various schemes. The Investment Migration Council (IMC), a worldwide association for investor migration and citizenship-by-investment groups, said it welcomed the EU Commission’s report. It said, however that the report was not balanced and failed to reflect the economic and social benefits the various schemes bring, which is not constructive to policymaking or furthering the debate. 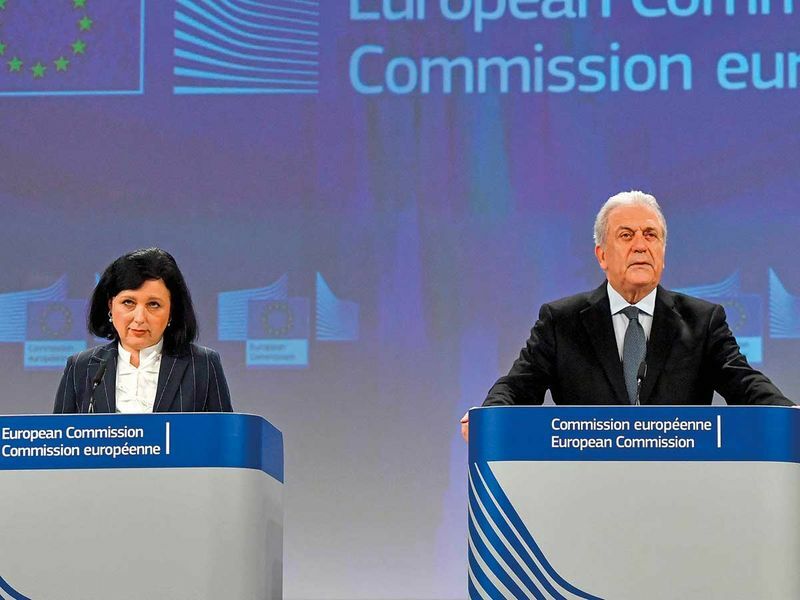 The EU Commission’s report said Malta and Cyprus did not sufficiently check the origins of wealth of individuals who bought citizenship and did not allow for their easy identification. There should be no weak link in the EU, where people could shop around for the most lenient scheme. They also circumvented EU rules that require “effective” residence in an EU state before granting citizenship, it said. “There should be no weak link in the EU, where people could shop around for the most lenient scheme,” EU Justice Commissioner Vera Jourova said. Jourova said the EU cannot ban the schemes but can require changes. The report, which comes five years after the EU Parliament urged the Commission to act, did not recommend any legislative changes or sanctions. “The Commission’s report tells us nothing about what member states actually need to do — they’ve sounded an alarm, and yet offered no solution,” said Naomi Hirst of Global Witness. Back in Famara, the debate is having little effect, and the luxury bungalow with the glorious sea views, clean air and temperate all-year weather remains an attractive option — regardless of whether the buyers are EU nations or foreigners with €500,000 to spend to buy a Spanish residency permit to facilitate ease of access and movement to the rest of the EU.